No Dancing! | Flickr - Photo Sharing! 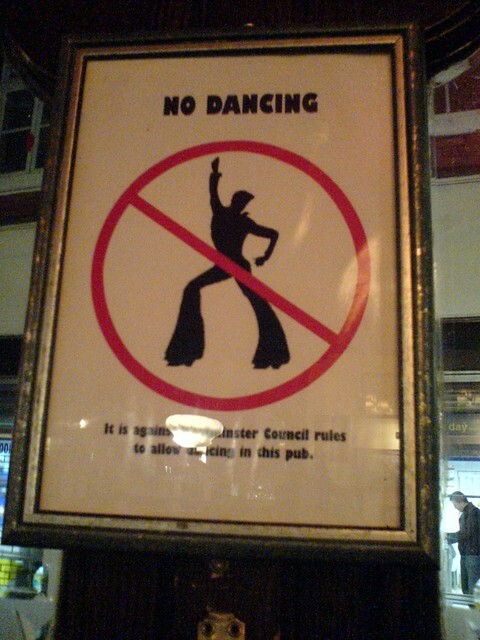 "It is against Westminster Council rules to allow dancing in this pub"